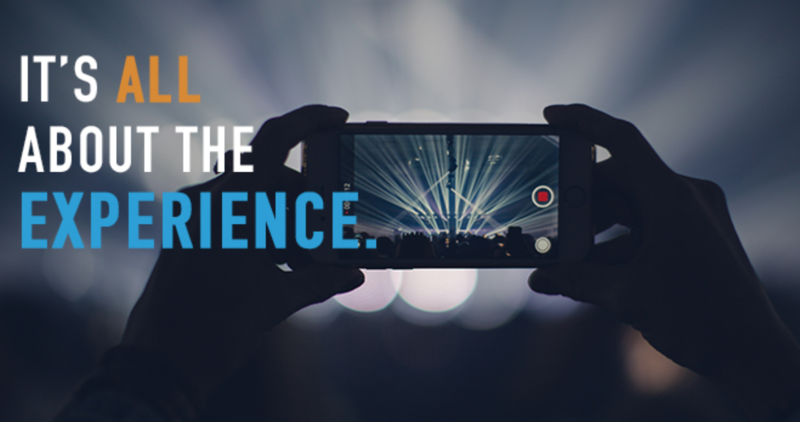 Marketers have realized that consumers no longer just want to buy a product; they also want to buy an experience with that product. In fact, sometimes more emphasis is placed on the experience than the product. Think about some of those pizza arcades where you celebrated your children’s birthdays. Fortunately the experience was memorable because the pizza certainly wasn’t. Instead of just purchasing a cup of coffee we also now want the experience of purchasing a cup of coffee. We are even willing to pay extra for the sights, sounds and smells with an added experiential bonus if the barista knows our name. Marketing is an intentional process of identifying who the consumer is, determining the wants and needs of that consumer and offering a product that satisfies those wants and needs in order to secure their loyalties better than competitors do. Some of us plan and lead worship the same way. In an effort to entice more participation, churches offer worship service preferential experiences to get consumers in the door, sometimes even at the expense of quality or honesty. Those marketing headlines attract visitors with hooks such as traditional, contemporary, blended, friendly, family, fellowship, multisensory, relevant, modern, casual, classic or even coffee. But when guests realize worship is something you give, not something you get, how will we encourage them to stay? If we market just by catering to experiential tastes, what will we offer when those tastes change? We can experience a fine meal. We can experience a baseball game, concert or an amusement park. An experience is an event or occurrence. In fact we even call what we do on Sunday a worship experience. But an experience is something that is done to us or for us. Worship is something we do. We don’t experience worship…we experience God. Our response to that experience is worship. We can experience the many facets of God inside or outside a worship service but the experience or encounter is not worship, our response is. So a worship service built on an experience alone is shortsighted if it never allows us an opportunity to respond. God’s revelation (experience) is when he offers us a glimpse of his activity, his will, his attributes, his judgment, his discipline, his comfort, his hope and his promises. Our response is the sometimes spontaneous and sometimes prepared reply to that experience…worship. Depending on worship as an experience can cause us to be satisfied with the sensations elicited by that experience. Consequently, we might select and sing certain songs or even styles of songs because of the experience and then never move beyond that experience to worship. The end result of experiential consumerism is that our songs and sermons must create and recreate that same experience each week or worshipers will leave our services believing worship couldn’t and didn’t occur. This entry was posted on Monday, February 11th, 2019 at 9:00 amand is filed under . You can follow any responses to this entry through the RSS 2.0 feed. You can leave a response, or trackback from your own site. In Whom Are You Investing? Why Wouldn’t You Also Worship Then? Take Courage Worship Leader…He Is Able! Is Serving as a Worship Leader Really Worth It? Duane Hines on Why Wouldn’t You Also Worship Then? Worship Leaders Sabbath: If Sunday Isn't Sabbath, When Is? on Give Me A Break!